Yes, dig inn was meant as a quick dinner option before we head out to a study place somewhere. @knguyen have you heard anything yet? I reached out again but they seemed busy. I will swing by after work to check but chances are we would need another place for this week. Hi. I stay in Jersey City. Would like to study together in NYC. Let me know if some place is decided. Looking forward to meet and study together. Galvanize said timing is a bit tight this week. 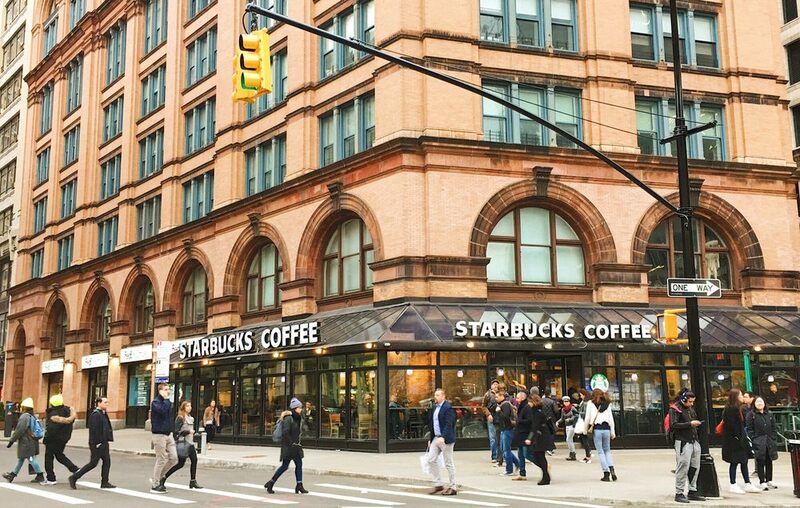 I will be studying at Starbucks @Astor Pl from 9 to 1. Come join me, let’s get started together. Ok, thanks for trying! I’ll join you @ Starbucks. Want to grab dinner before? Sweetgreens across the street. I’ll join as well, Sweetgreens sounds good! Did you manage to get to Galvanize in the end? The picture you sent on the lesson 8 thread didn’t look like Starbucks ;-). We met at Starbucks, then concluded we would run into trouble as Starbucks closed at 11pm. So we went to Keane’s office instead. Were you at Starbucks also? No, couldn’t make it yesterday night (partner came home late + two kids…), but I was checking for next Monday. Ah ok, np. We’ll hopefully be at Galvanize next time! Glad to meet @maurice and @wdhorton yesterday. I will ask Galvanize to let us start early at 8 next week so that we can get set up and mingle a bit. Also, they have suggested a clean-up fee of $50 for each meeting, the more people come the cheaper it gets. Hi all – going to be working on stuff for the course from 12-2 tomorrow at this coffee/juice bar in Nolita (https://www.yelp.com/biz/project-cozy-new-york). Feel free to stop by! Hey I’m originally from Argentina but am visiting NY and will be working in lecture 1 throughout the weekend, does someone want to meet up and maybe work together? Cool I’ll be there as well. Expect me bit later though, around 1pm. Can’t join @wdhorton today but I plan to spend the whole Sunday studying if anyone wants to join. Secured a room at Galvanize from 8pm - 12:30am. Look forward to seeing everyone this time!